Flavor of the Month or Research & Development? I heard discussion and saw an advertisement talking about education having our “Flavors of the Month.” In other words what’s the next initiative, program, product, or technology that will increase standardized test scores, student performance, student engagement, teacher effectiveness, learning, or whatever other metric we might be using (all of which are important). It’s interesting the advertisement using the “Flavor of the Month” analogy was for a professional development program. Interesting, huh? Here’s my take. First of all, transformational change does not come from programs and initiatives. Those are things! It comes from having a process where action research is constantly occurring. It also is about having a collaborative culture where learning is always occurring. Garvin (2000) called this environment the learning organization. “A learning organization is an organization skilled at creating, acquiring, and transferring knowledge, and at modifying its behavior to reflect new knowledge and insights” (Garvin, 2000, p. ii). Now, think about that definition. If you think about it you’ll understand when I say it is good to use a few “Flavors of the Month” every so often to try new learning techniques for effectiveness. 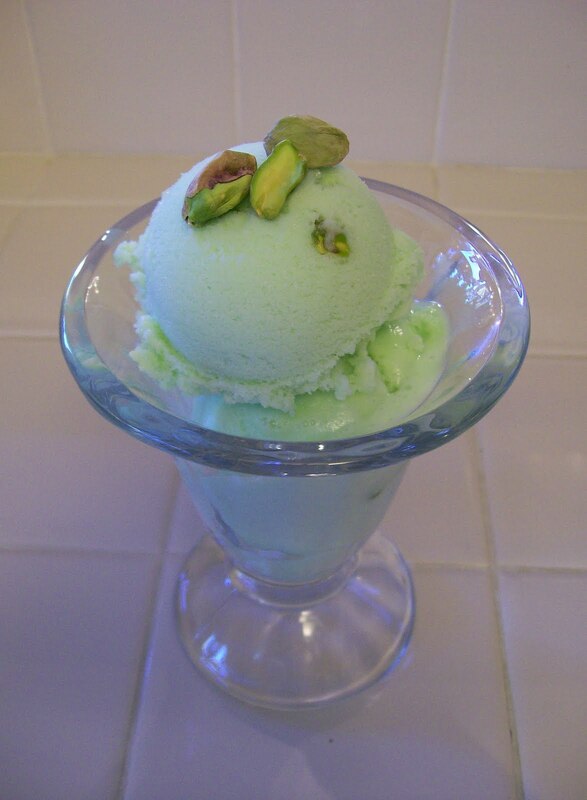 I would not have known I like Pistachio Ice Cream had I not been tempted to try it on a Flavor of the… trial. What’s wrong with trying new things? We need to view it as Research and Development. The problem within our schools is we then need to collaborate in a learning organization environment to truly know what worked and did not. We need to have knowledge sharing in conjunction with knowledge generation. Now I know I will get all the negative reactions that are associated with any time of professional development or professional learning communities – no money, no time, yada yada yada. A true learning organization is a culture not a thing. Let me give you an example. Yesterday I wanted to try using a People Search. This is an activity where students receive a chart with eight questions and they have to collaborate with eight different students to answer each question. They both initial when they believe they have the correct answer. I tweaked this activity to do it electronically and invited another teacher in who uses this activity often with success to observe and critique afterward. We spent time reflecting afterward and it was incredible and worthwhile personal growth time spent. Did you notice this did not cost money, require board approval, or any of the other things we complain about or use as excuses. This interaction was a true modeling of a learning organization. There was no fear of failure, and even if it had failed, my teacher guest is of the same culture as me. We are not afraid of risk. The process of a learning organization starts from a cognitive phase where new ideas are exposed and are digested by the people followed by a behavioral phase (trying something new) where these ideas are put to use and finally a process improvement phase (reflection). So don’t forget we must develop a culture of Research and Development, knowledge creation and sharing, and the learning organization. Garvin, D. (2000). Learning in action: A guide to putting the learning organization to work. Boston, MA: Harvard Business Press.